Join in the FUN at our $50 2 Player Teams Event as it returns to Sorrento Football Club! 20 minute levels, players swap each level. Cash running for players in off-time, and no break! 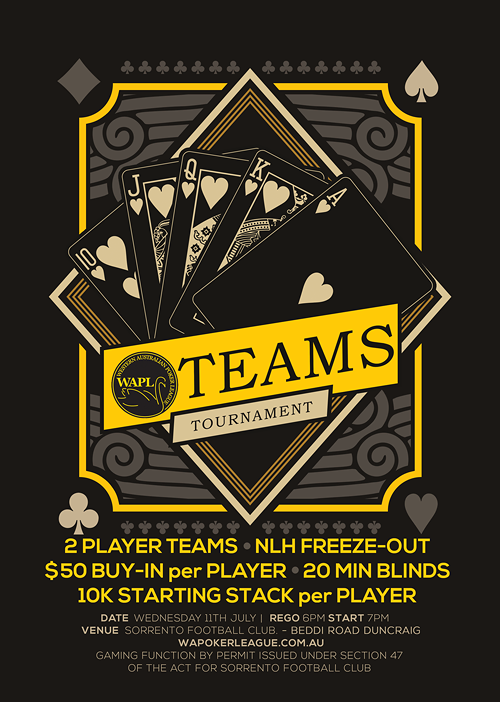 Cash Table available from 6pm to Midnight - $2/$5 blinds NLH, $25-$500 buy-in.